Fitness Assessment and Exercise Prescription for All AgesTM is a home study continuing education course for health and fitness professionals to safely and accurately assess cardiorespiratory fitness, muscular fitness, body composition, flexibility, and balance; then design safe and effective programs for resistance training, weight management, body composition, flexibility, low back care, and balance for all ages. The American Academy of Health and Fitness (BOC AP#: P3645) is approved by the Board of Certification, Inc. to provide continuing education to Certified Athletic Trainers. This program is eligible for a maximum of 13.25 Category A hours/CEUs. Certified personal trainers, group fitness instructors, health and wellness coaches, and sports nutrition specialists holding more than one certification may obtain CECs/CEUS for all certifications for which they need continuing education with this single home study course at no additional cost. This course is offered in a distance-learning format providing research based continuing education for health and fitness professionals (personal trainers, group fitness instructors, health/wellness coaches, and sports nutrition specialists) who wish to dramatically increase their knowledge of fitness assessment and exercise programming for all ages of clients. 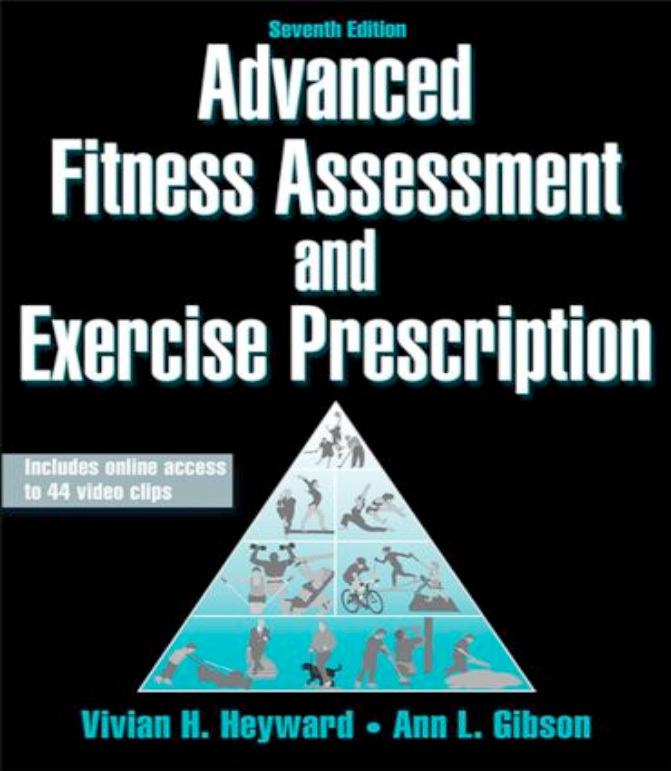 Electronic format — The Fitness Assessment and Exercise Prescription for All AgesTM certificate package with online test includes the eBook version of the 537-page book Advanced Fitness Assessment and Exercise Prescription, Seventh Edition With Online Video by Vivian H. Heyward and Ann L. Gibson and an 83-page workbook provided in PDF format. Instructions for completing the 60-question multiple-choice online test and obtaining CECs are also included in PDF format. Note: This course package is made available for immediate access and download after purchase. All materials for this electronic format course are available electronically. Nothing is mailed. Explain an overview of physical activity as related to health and chronic disease for people of all ages; and, explain preliminary health screening and risk classification. Describe the principles of fitness assessment, exercise prescription and exercise program adherence for all age groups. Assess cardiorespiratory fitness and design cardiorespiratory exercise programs for all age groups. Assess muscular fitness and design resistance training programs for all age groups. Assess body composition and design weight management and body composition programs for all age groups. Assess flexibility and design programs for flexibility and low back care for all age groups. Assess balance for varied age groups and design balance programs with a focus on the older adult.